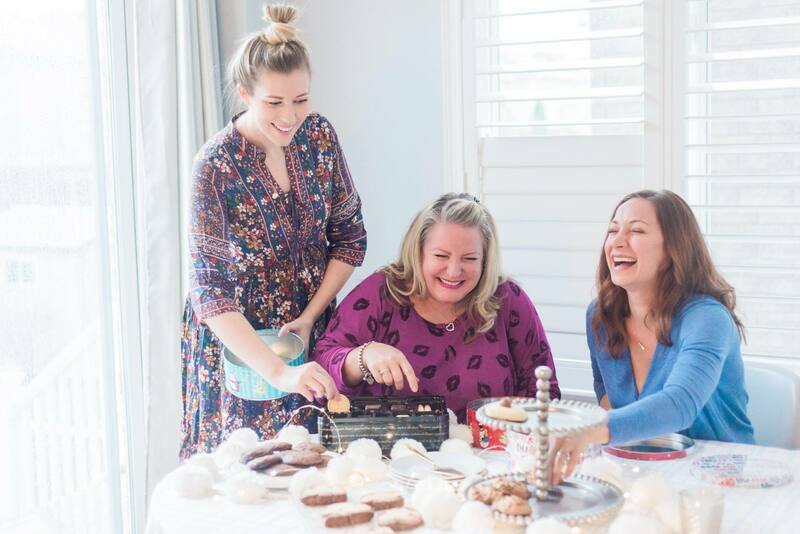 It’s the most wonderful time of the year and what better way to kick off the holiday season than with a Cookie Exchange Party?! 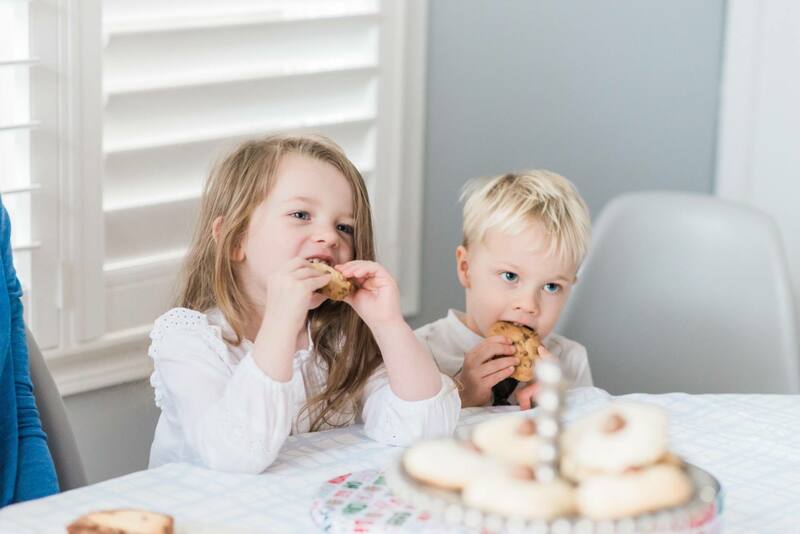 This has to be one of our favourite holiday traditions. 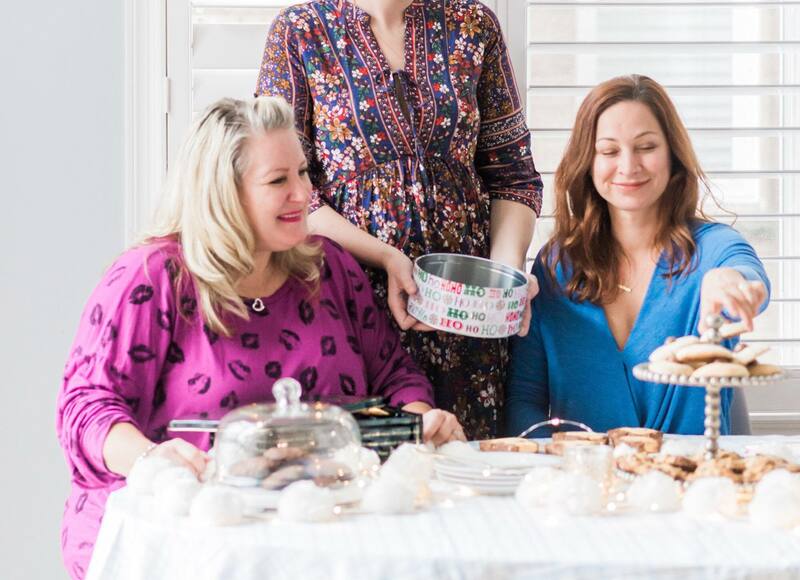 It’s a fun reason to get together with friends and family and share your favourite treats. 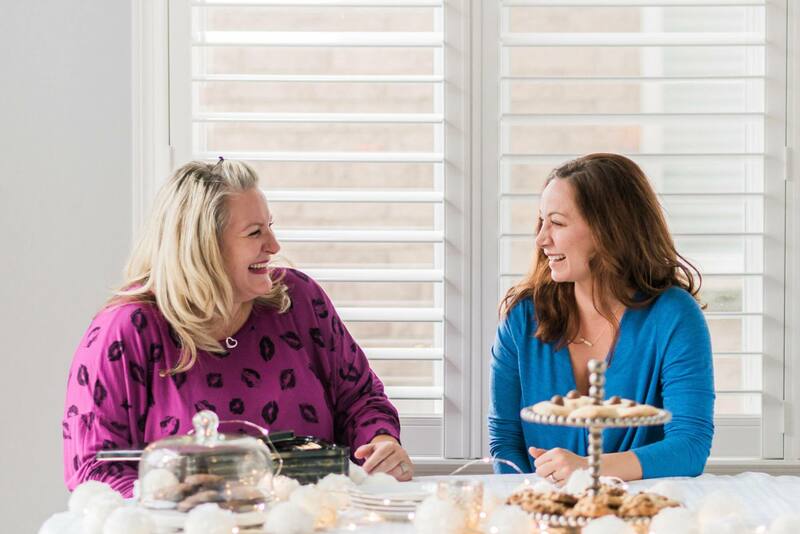 One thing I will say, I haven’t always enjoyed hosting holiday parties…I put so much pressure on myself when entertaining but I’ve realized it doesn’t need to be that way. The holidays are about enjoying your friends and family and not going over the top with throwing a party if it’s ultimately going to leave you feeling drained. 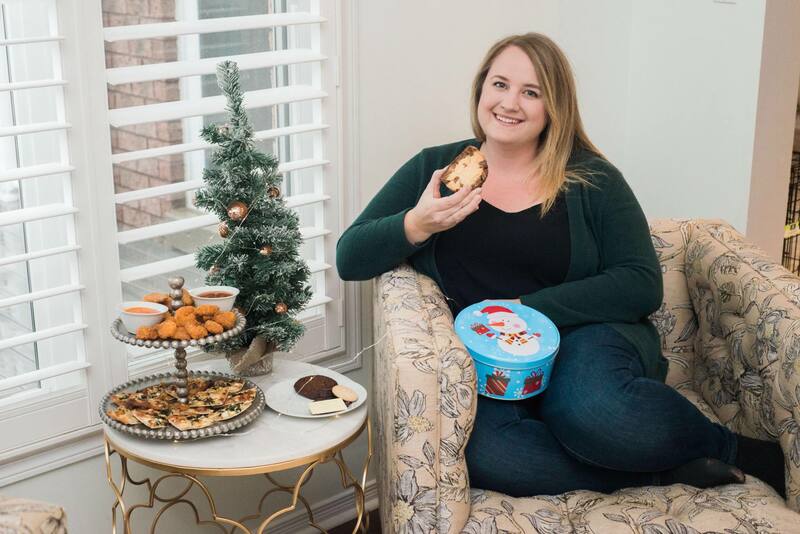 I thought I’d share a stress free way to enjoy the festivities this season so you can entertain at ease and spend less time prepping and more time enjoying! 1. 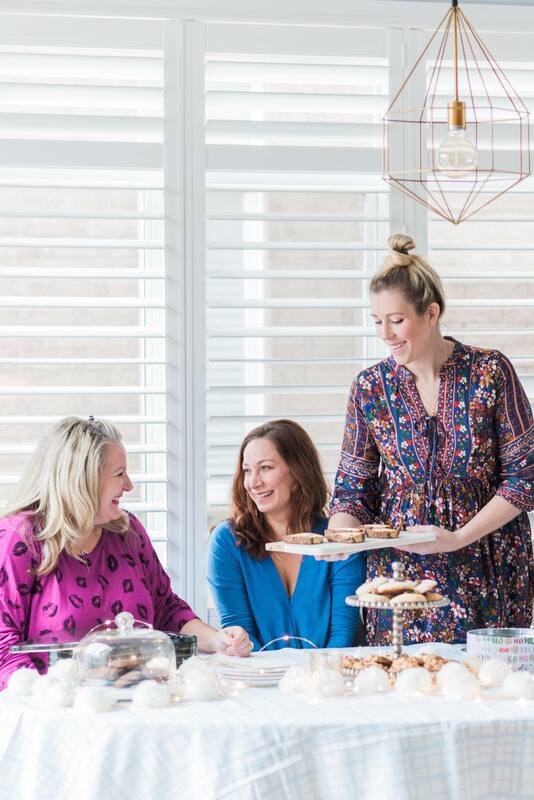 Invite friends and family to join and ask everyone to bring 1-2 of their favourite cookies (enough for everyone to take some home). Store bought is completely ok! Not everyone has time to bake up a storm this time of year. The holidays are always so busy and just because someone doesn’t have time doesn’t mean they don’t want to participate in the fun. I think this takes so much pressure off of everyone. 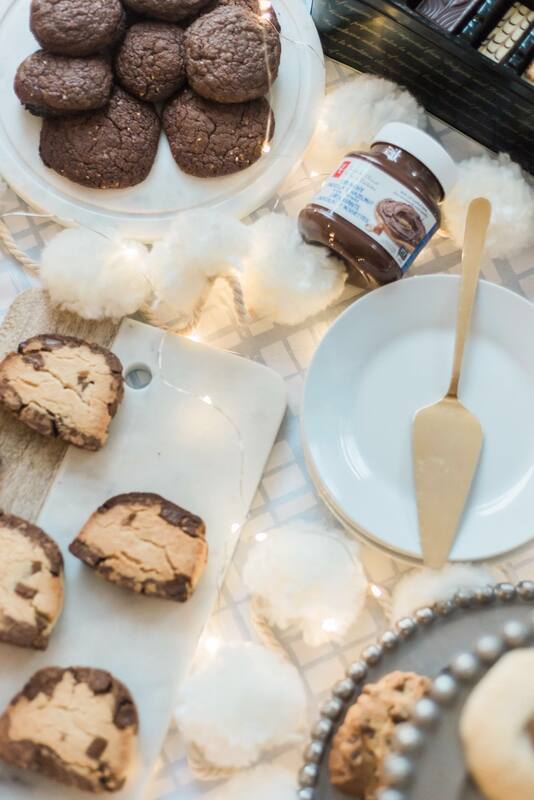 I typically bake one or two of our favourite cookie recipes and also buy a tin of PC®Assorted Biscuit Cookies because who doesn’t love their Roule and Biarritz cookies?! I look forward to devouring those every year! 2. Pick up festive tins and a few decorations. 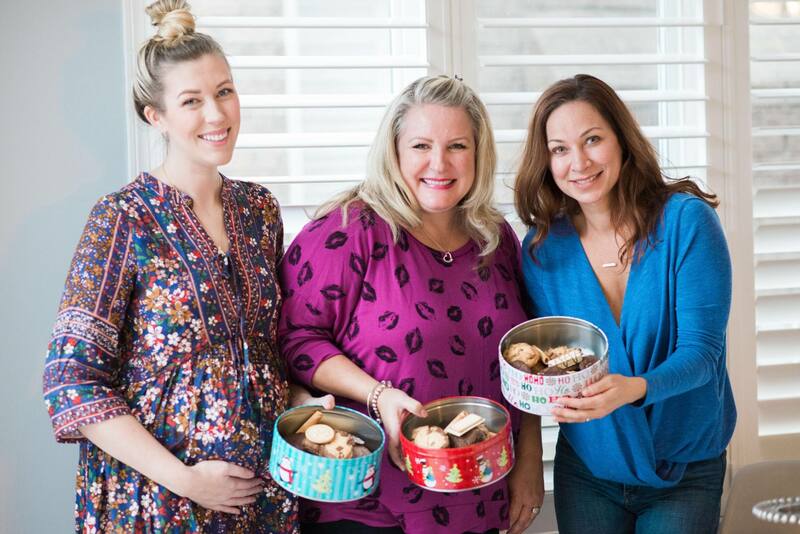 Festive Tins are an inexpensive and fun way for everyone to package up their cookies. 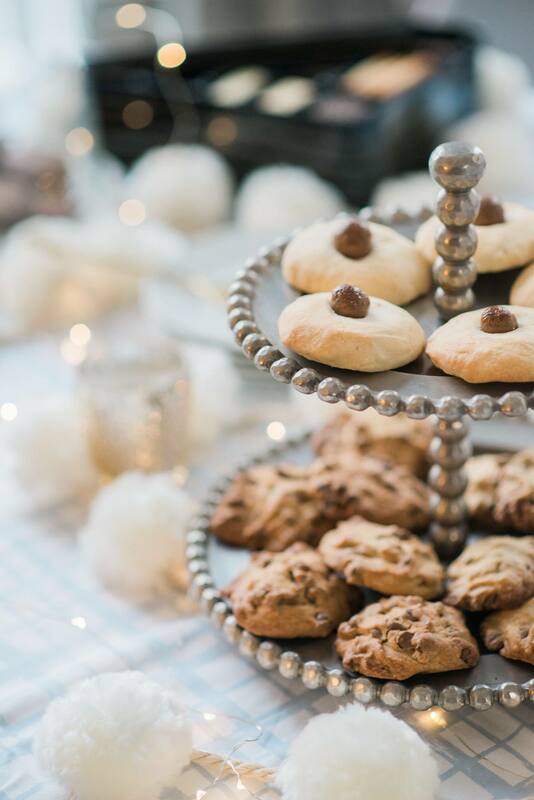 These also come in handy if people are planning to give their cookies away as gifts. 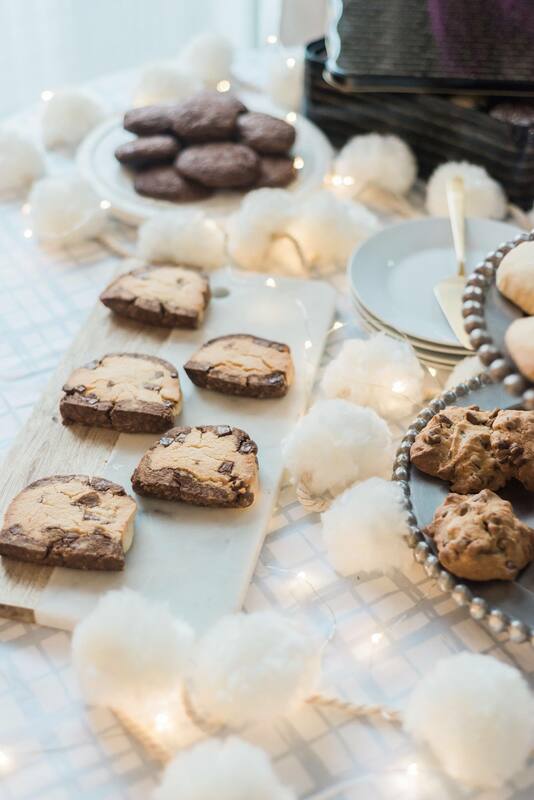 I also like to pick up a few decorations like garland and twinkle lights to spruce up the cookie table. 3. 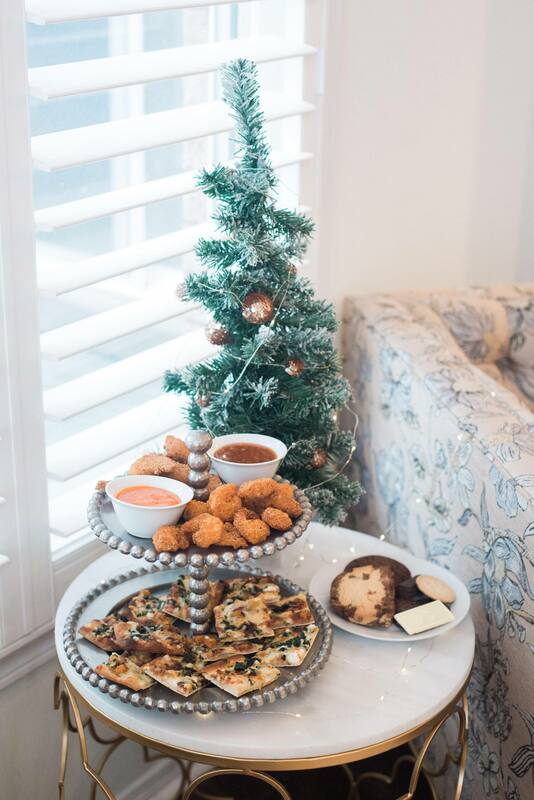 Set up appetizer stations around the area you’ll be entertaining. I find spreading snacks out helps guests move around to mix and mingle. Appetizers are also something you shouldn’t stress over. 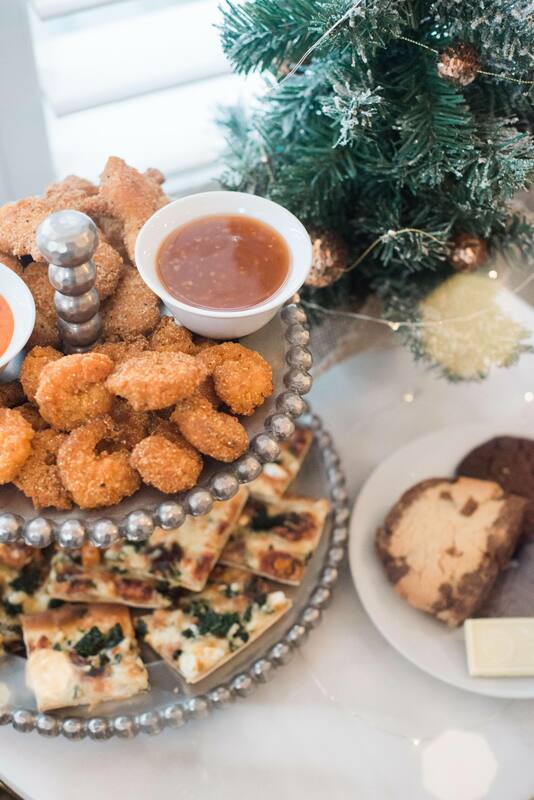 You’re already throwing a party and baking cookies, why complicate things by making appetizers from scratch? PC® Insiders Collection™ for Holiday has a ton of great options like their PC® Bang Bang Shrimp or their PC® Squash Kale and Beet Flatbread. The flatbread is to die for by the way. It tastes homemade and I’m not even a fan of squash, beets OR kale and I could have gobbled up the entire thing myself…and it’s vegetarian. Your guests will definitely enjoy these appetizers and they have so many other great options. 4. Set up Cookie Exchange. 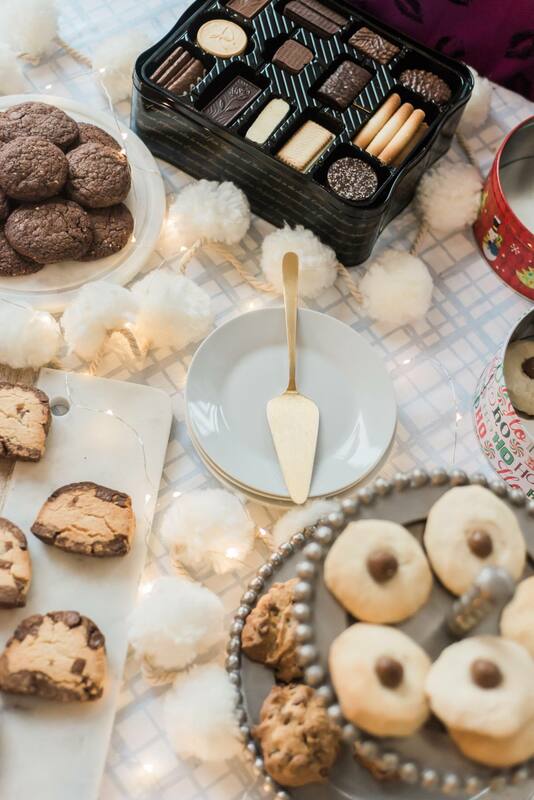 I like to lay out our table decor with empty cookie platters and cake stands so when everyone arrives we can quickly set out all of the cookies and start enjoying the party. We also have another table set up with drinks like coffee and tea for our guests. Once all of our family and friends arrive it’s time to enjoy the party! 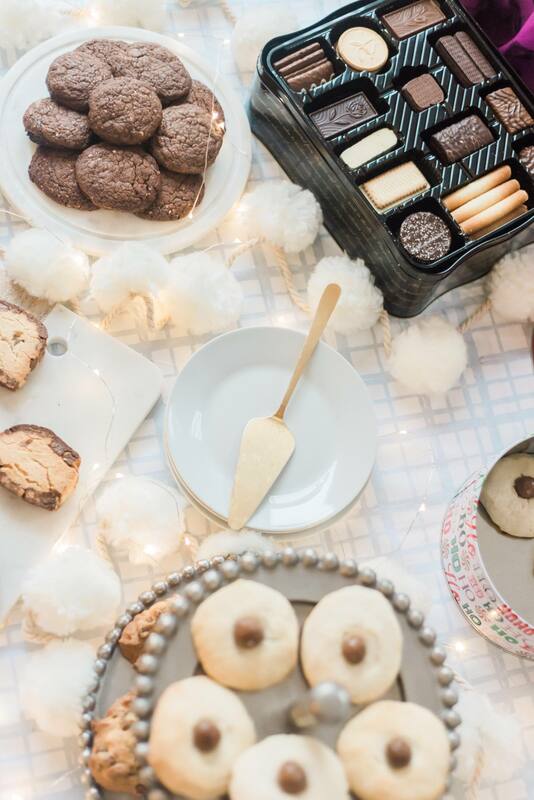 Do you host or attend Holiday Cookie Exchange parties? This is definitely one of my favourite things to do over the holidays! 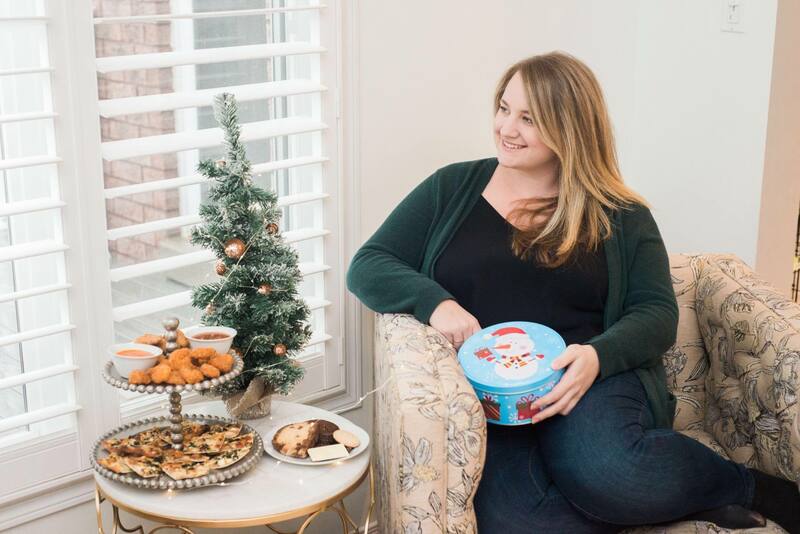 If you decide to throw a cookie exchange party and want more information on all of the PC® Insiders Collection™ for Holiday items I mentioned you can find them all (and more) here: pc.ca/insiders. Happy Baking!